There’s a lot to love about Ecuador—the amazing biodiversity; great weather; the low cost of living. And in the larger cities like Cuenca, where I live, the excellent medical care and cultural amenities are an added bonus. I’ve been kept up to date on the miserable winter in the States through Skype conversations with my two children. Right now I’m looking out the window at blue skies and am looking forward to yet another day with temperatures in the 70s. Later this morning I’ll head to the gym, where the monthly membership is a whopping $17 per month. Our symphony is performing tango selections twice this weekend. For free, as usual. And I’m currently organizing an adventure with friends next month to a remote eco-lodge in the Amazon. So, yes, all these tangible features make Ecuador a wonderful place to live, but I want to share with you another less obvious and perhaps more important benefit. This one is subtle and reveals itself slowly, and sadly not all expats are open to experiencing its transformative powers. 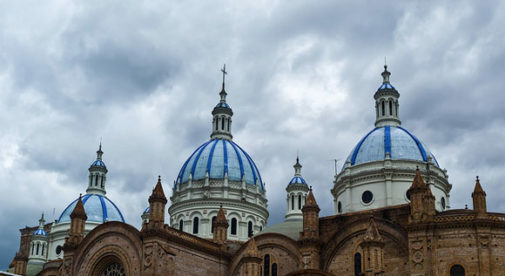 A reader wrote to me recently saying he and his wife are going to visiting Cuenca. He wanted to know if I would be available to have dinner with him in May. May? Two months from now? I responded that I was open to his invitation but honestly don’t know what I’ll be doing next week. It has been my observation that people immersed in North American culture are frantically multitasking (my definition of this word is “doing a mediocre job of several things at once”). Part of this mindset is pretending to be in charge of your life by filling the calendar with as many future events as possible. #1: Stuff often comes up that causes the original plan to be changed anyway. #2: Making specific commitments excludes all other possibilities that might serve you better or simply be more fun. Trust me, I haven’t always thought this way. I arrived in Cuenca almost four years ago armed with a potent Type-A personality. The inevitable frustrations of adapting to expat life were getting the best of me until a local friend observed my behavior and offered a piece of life-changing advice. Now I’m not suggesting that this strategy would be effective for folks back home juggling careers, parenting, household chores and errands, plus some semblance of a social life. But expats lead a simpler life, and continuing to carry around the stress associated with all that “busyness” is both unnecessary and debilitating. I haven’t met a foreigner yet who has successfully changed the local culture by stubbornly whining about the way things here “should” be. Relaxing into an unhurried flow of life with no clock to watch or rigid schedule to maintain has to me been the greatest benefit of moving abroad. Those other terrific parts of living in Ecuador I mentioned earlier make for some very tasty icing on the cake.